The Department is working towards improving its environmental sustainability by using less, re-using more and recycling where possible. We aim to consider our environmental impact in all areas of our work. These actions will be carried out in the manner laid down in the Department’s Arrangements for Environmental Management. Why not have a look at our interactive PDF's. 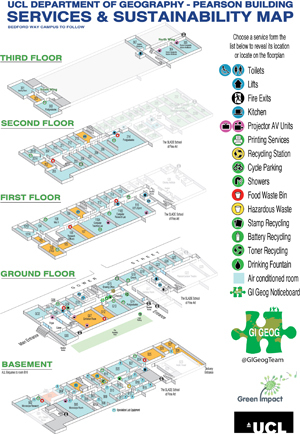 The clickable "Guide to recycling" shows you where to put your unwanted items and the clickable "Services & Sustainability Map" shows you what facilities and services are located where in our Pearson Building including recycling, printing and safety. NB the Interactive part of the PDF works best if you view via Acrobat Reader. Environmental Risk Assessments are currently being carried out as part of the Health and Safety Risk Assessments. Ultimately the Department will be encouraging separate Environmental Risk Assessments to be completed for all aspects of work. 2. 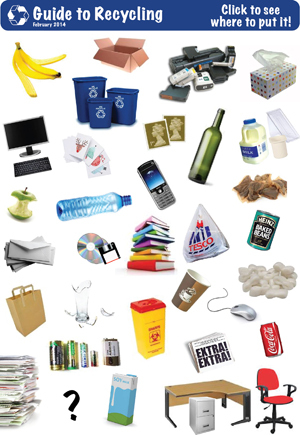 All other general waste (paper, plastic, card, glass, etc) should be placed in a bin with a CLEAR bin liner. room) and offices. Please do not put Hazardous Waste or Sharps in these bins. 'Each One Counts' scheme. For further details please see www.ebpgroup.com/media. 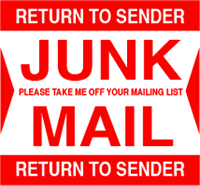 So Much unwanted mail is simply binned. Take your name off catalogue or journal lists. It’s easy – either phone them up and ask to be removed or simply stick a ‘return to sender’ label on your unwanted mail and put it in the external mail box. This will reduce the amount of waste generated by UCL, Save UCL post room staff and Geography office staff from having to carry and sort unwanted mail. We all print things out, that once read we no longer need, proofs of a paper or diagram. Obviously we should all try and print less, use double sided and where possible make handouts available via Moodle. 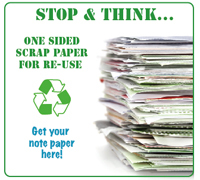 But there is always scrap paper, keep unwanted single sided A4 sheets in a magazine box or paper box lid. Collect one from your Green Champion. Use the paper for making notes on, or donate to the UCL Nursery (via your Green Champion). We all receive mail at work, why not consider re-using the envelopes? Sometimes the envelope is not viable for re-use, but often they are, especially larger more rigid envelopes. Also padded envelopes, boxes and tubes. The cost of replenishing the envelopes in our stationery cupboards could be reduced, Re-usable envelopes could be stored alongside the scrap paper. Don't forget used Postage stamps are collected for the Charity "Hearing Dogs" and collection boxes are located in Departmental Post Rooms. When buying or ordering equipment, please consider the whole life cost of the item. Whole life costing takes account of the cost of a product or service over its life, from determining the need for it through to its eventual disposal and replacement. For equipment, for example, it includes the costs of maintaining and operating the product as well as its outright purchase, the cost of consumables, utilities, training; and the cost of disposal at the end of its life. Research has shown that the purchase cost of equipment is often only a small proportion of the costs of operating it. Please report any issues with heating or cooling to your Estates Liaison. UCL no longer permits the use of portable heaters or coolers. They are only permitted if there is a problem with the temperature of your office or workroom. If you need extra heat or cooling, then contact your Estates Liaison, who will have your room assessed. Once the issue is resolved, the heater will be removed. As with all other electrical items, UCL does not permit heaters to brought in from home. We have lifts in Pearson and Bedford Way, try to only use the lift if needed, the mechanisms used for powering use lots of electricity, by using stairs you will be saving electricity and helping yourself get a little fitter. Single use batteries are only available for specialized field equipment. In other cases please use rechargeables, your purchasing officer will advise you. When purchasing computer equipment you will be advised to get corded keyboards and mice, and if wireless versions are required then a charger unit and batteries must also (or have previously been) be purchased. The Department does not permit the use of Air Travel for domestic flights. All travel bookings must be made through your Finance Administrator who will enforce this. Wherever possible use public transport. The department also has a number of Skype enabled machines and dedicated Skype headsets to help reduce the need of travelling in person to meetings. There are 2 drinking fountains within the department that you can use to refill your own bottle or jug, rather than spend money on UCL catering supplied water for meetings, why not fill up your own instead. Crockery for meetings is also available for use at small meetings (obtainable from Maria) this saves using disposable plates and cups and gives a more professional feel to your meeting. We are working towards getting the UCL Catering supplier to offer this as standard to reduce the waste created by all UCL departments. When washing up the crockery or any of your own everyday mugs, try not to wash under a running tap. 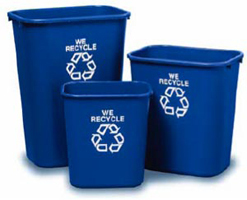 We are also trying to make it clearer to visitors what our recycling policies are. Washing dirty glassware out as soon as possible after use, can be much easier. Chemicals tend to set as encrustations on glass and once dried, can mean a lot of scrubbing and rinsing to remove the traces and therefore a lot more water use. There are bowls to fill with water and detergents for your general 'washing up'. This eliminates the need to wash out 80 test tubes under a running tap. When washing hands (or gloves) after lab work with soap and water, it is usually possible to turn the tap off while lathering and cleaning your hands, turning it on again to rinse. When running distilled or deionised water to fill containers, or flushing it through, the ELGA unit may be run to waste, in order to reach maximum water purity before use. This water is absolutely fine for normal lab purposes. Filling a container with this waste will give a supply for washing out beakers, spraying through sieves, using to wet down specimens in picking and microscope work, or even washing hands. These ideas can also be applied to general washing up and hand washing in the rest of the department too. UCL has launched a new Green Awareness module via Moodle for all staff and students at UCL. This course introduces the key concepts of sustainability and what these mean for you at UCL. It also makes links to research and teaching so that you can develop an understanding of UCL's global sustainability influence. Green Impact is an NUS run programme to help groups to control their environmental impact. The Geography team is called "GI Geog". Set up in 2011 as the Green Impact Geography group, they strive to help make Geography more sustainable through the NUS project "Green Impact" located in the Pearson Building but also covering 26 Bedford Way Building. They are led by Miles Irving & Janet Hope and over the last couple of years the team has been successful in helping the department fulfil its desire to become sustainable. This file lists the top 5 environmental impacts identified by the GI Geog team. 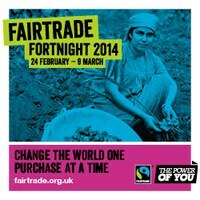 Who is responsible for turning off your lights and computers ?- currently you are! Please make sure everything is switched off when not in use and help us to save energy. We’ve made lots of changes to this year’s workbook. Using feedback from across the institution, we’ve added plenty of new criteria to make the programme more effective, intuitive and fun. There’s also the possibility of achieving even higher scores this year. Now particularly high-achieving teams can achieve a Platinum award for their efforts. In previous years, departments have created some amazing projects as part of Green Impact. For instance, the team of the Division of Psychology and Language Sciences ran their own Green Awareness Day and also brightened up a grey area of Bedford Way by creating a garden. But it's not all about big actions. By simply joining and using WARPit (a website for UCL staff to share resources and equipment), teams across the university are helping to save energy, resources and money. This year, we’re aiming to help recruit and train students to work alongside staff in their Green Impact teams. Just let us know if you’d like student help, and we’ll get them trained up so they can take part. We’ll also be running mini competitions to keep staff and students engaged with Green Impact for the duration of this year’s workbook. What's your green New Year's resolution? We're gathering your green New Year's resolutions to showcase the scale and diversity of action that UCL students, staff and academics are taking for a better world. Whether it's saving energy, volunteering, campaigning or finding ways to make a impact as part of your job, we can all make positive changes this year. Why not take a look at our programmes pages to find out more about ways to get involved with us? Are you a NETpositive student? 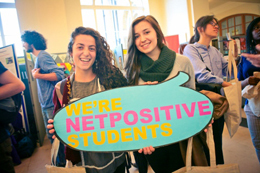 NETPositive is a new tool designed for all students at UCL.